Move over soda pop! Oily Pop is taking over! ….now you know why I don’t work in advertising; but I have to share this with you. My family absolutely LOVES this. Now there is a healthy substitution for all the toxin-laden carbonated beverages that tempt us. And it is easy-peasy to make! 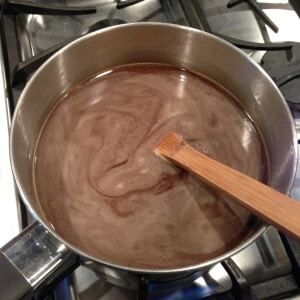 In a medium sauce pan, heat the water and coconut palm sugar until the sugar is completely dissolved. Remove from heat and let cool. When it is cool, pour it into your glass container (always use real glassware when using essential oils). I split mine between two bottles. 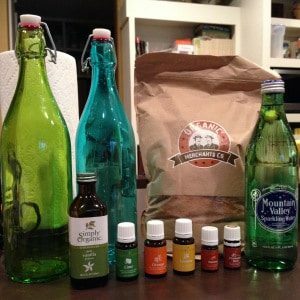 Add your essential oils and vanilla, then chill in the refrigerator. This is your concentrated oil-infused syrup. Shake well before each use. 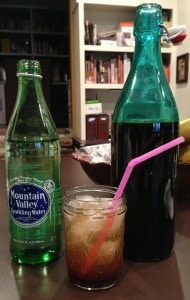 To make your soda, fill a glass with ice. Fill your glass 1/8-1/4 of the way with the oil-infused syrup; fill the rest of the glass with sparkling water. I hope you enjoy this as much as we do!